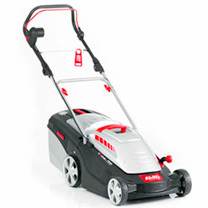 3-in-1 Function: Mow, collect and mulch. Lightweight and easily transported. Central height adjustment. XL-Wheels for easy manoeuvring. Fill-level indicator integrated into the catcher. The height-adjustable, ergonomically shaped handlebar allows fatigue-free working and easy operation. 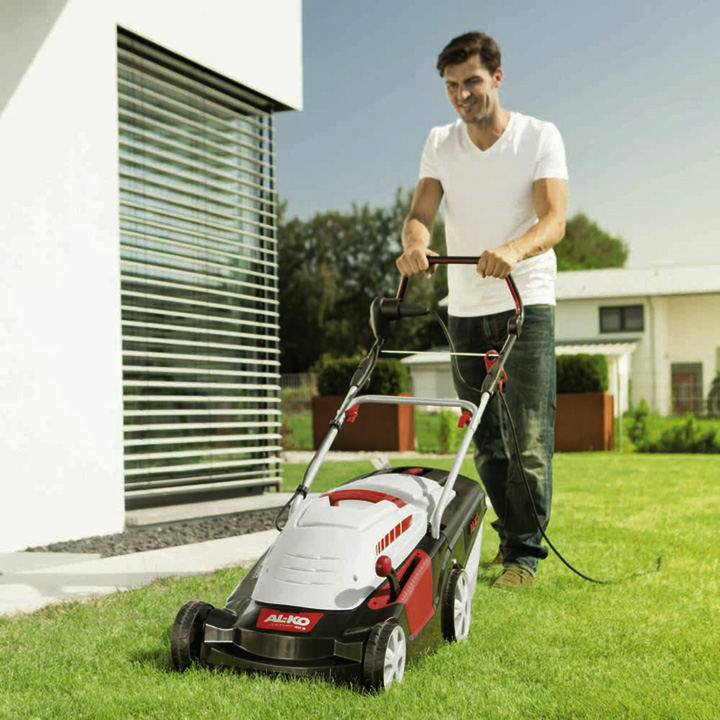 The integrated carrying handle permits easy transport, in addition the grass catcher can be removed straightforwardly and the handlebar can be folded together with ease allowing the lawnmower to be stored without taking up much space. 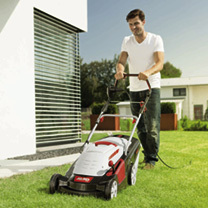 The powerful spring support allows the cutting height to be set quickly and conveniently with a hand grip. If you want just mount the mulching insert without tools and work the finely chopped clippings into the lawn as a natural fertiliser.